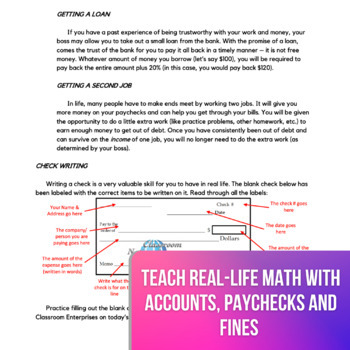 This real-to-life, year-long simulation allows students to see what earning a paycheck feels like as well as many other life events we all run into concerning money: reoccurring bills, loans, second jobs, banking paperwork, and of course debt. 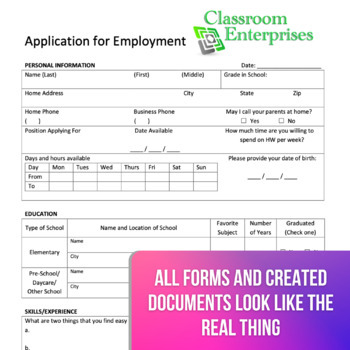 Don’t just print out classroom dollars for your students to shuffle around – using my guide they will set up a checking account, fill out bank deposit slips, complete job applications, balance a checkbook and so much more. Every single piece of “grown up” paperwork I have created looks just like the real thing! Start making your students take responsibility for their own learning and homework – the student's income is determined by how hard he/she works and how well money is managed…what rewards will your students earn? Middle schoolers are absolutely obsessed with money. However, it may come as no surprise that the vast majority have a very poor concept of money in terms of income and expenses. So I decided I wanted a better setup than printing out hundreds of classroom dollars to constantly have to hand out. This system is certified teacher-tested and classroom-approved. One week I forgot to hand out paychecks and nearly everyone in the class had to remind me that they needed to get paid! This system will have them hooked. 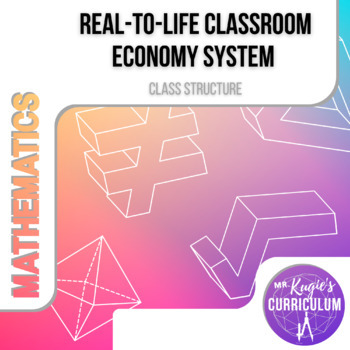 If you choose to purchase this product, you will receive a no-frills, all-inclusive, easy-to-implement system that fosters responsibility and money sense in a more mature manner than the "class bucks" of elementary school. These are the skills many young high school and college graduates are lacking - money sense is THE MAIN WAY we use math everyday. Don't let your students leave your classroom without it! This system leads to plenty of good conversations about money and the real world. It also can easily extend into the world of interest / loans / credit cards if you so choose.